Plantar fasciitis can make any activity on your feet painful, restricting your day-to-day function. To find out how to reduce your pain, meet with Phil Striano, DC, at Hudson Rivertowns Chiropractic in Dobbs Ferry, New York. With chiropractic adjustments, physical therapy, and medication, he can help you re-establish your foot health. If you’re suffering from plantar fasciitis, call Dr. Striano today or book an appointment online. The plantar fascia is a ligament that runs across the bottom of your foot, connecting the heel to the toes and creating your arch. It acts as a shock absorber any time you put weight on your feet. When you overstress the plantar fascia during strenuous or repetitive activity, small tears form on the ligament. Plantar fasciitis results after the plantar fascia gets injured and inflamed. Patients often describe the condition as stabbing heel pain that usually appears after periods of inactivity. Once you get up and moving, it starts to subside. 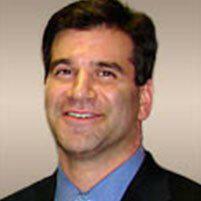 Dr. Striano starts by gathering information about your family and medical health history. Then, he performs a physical exam, testing your foot strength, reflexes, and balance. To make sure a fracture or bone spur isn’t causing your pain, he may also administer an X-ray or MRI. Dr. Striano uses chiropractic care, medication, physical therapy, and shockwave therapy to treat plantar fasciitis. Dr. Striano performs adjustments to correct misalignment issues that contribute to or result from plantar fasciitis. The objective is to take stress off the foot and promote healing. Nonsteroidal anti-inflammatory drugs (NSAIDs) are often the first line of treatment for plantar fasciitis pain. If those don’t provide adequate relief, Dr. Striano uses topical corticosteroids with electrical stimulation or corticosteroid injections. Dr. Striano helps relieve plantar fasciitis with targeted stretches for the calf, foot, and Achilles tendon. Athletic taping, night splints, and shoe inserts also help lengthen and reduce pressure on the plantar fascia. Extracorporeal shockwave therapy creates sound waves to stimulate healing inside the foot. This therapy is usually reserved for patients with chronic plantar fasciitis who haven’t found relief with other conservative treatments. In the rare case that these don’t work, Dr. Striano may refer you to a foot surgeon to surgically detach your plantar fascia. If you’re looking for chiropractic care for plantar fasciitis, call Hudson Rivertowns Chiropractic or book an appointment online.